A nautical mile is a unit of measurement used on water by sailors and/or navigators in shipping and aviation. It is the average length of one minute of one degree along a great circle of the Earth. One nautical mile corresponds to one minute of latitude. Thus, degrees of latitude are approximately 60 nautical miles apart. By contrast, the distance of nautical miles between degrees of longitude is not constant because lines of longitude become closer together as they converge at the poles. Nautical miles are typically abbreviated with the symbols nm, NM or nmi. For example, 60 NM represents 60 nautical miles. In addition to being used in navigation and aviation, nautical miles are also used polar exploration and international laws and treaties regarding territorial water limits. Until 1929, there was not an internationally agreed upon distance or definition for the nautical mile. In that year, the First International Extraordinary Hydrographic Conference was held in Monaco and at the conference, it was determined that the international nautical mile would be exactly 6,076 feet (1,852 meters). Currently, this is the only definition in use widely and it is the one that is accepted by the International Hydrographic Organization and the International Bureau of Weights and Measures. Prior to 1929, different countries had different definitions of the nautical mile. For example, the United States measurements were based on the Clarke 1866 Ellipsoid and the length of one minute of arc along a great circle. With these calculations, a nautical mile was 6080.20 feet (1,853 meters). The U.S. abandoned this definition and accepted the international measure of a nautical mile in 1954. In the United Kingdom, the nautical mile was based on the knot. A knot is a unit of speed derived from dragging pieces of knotted string from sailing ships. The number of knots falling into the water over a given period of time determines the knots per hour. Using knots, the U.K. determined that one knot was one nautical mile and one nautical mile represented 6,080 feet (1853.18 meters). In 1970, the U.K. abandoned this definition of the nautical mile and now uses exactly 1,853 meters as its definition. Today, one nautical mile still equals exactly the internationally agreed upon measure of 1,852 meters (6,076 feet). One of the most important concepts in understanding the nautical mile though is its relation to latitude. Because a nautical mile is based on Earth’s circumference, an easy way to understand the calculation of a nautical mile is to imagine the Earth being cut in half. Once cut, the circle of the half can be divided into equal portions of 360°. These degrees can then be divided into 60 minutes. One of these minutes (or minutes of arc as they are called in navigation) along a great circle on Earth represents one nautical mile. In terms of statute or land miles, a nautical mile represents 1.15 miles. This is because one degree of latitude is approximately 69 statute miles in length. 1/60th of that measure would be 1.15 statute miles. Another example is traveling around the Earth at the equator to do this, one would have to travel 24,857 miles (40,003 km). When converted to nautical miles, the distance would be 21,600 NM. 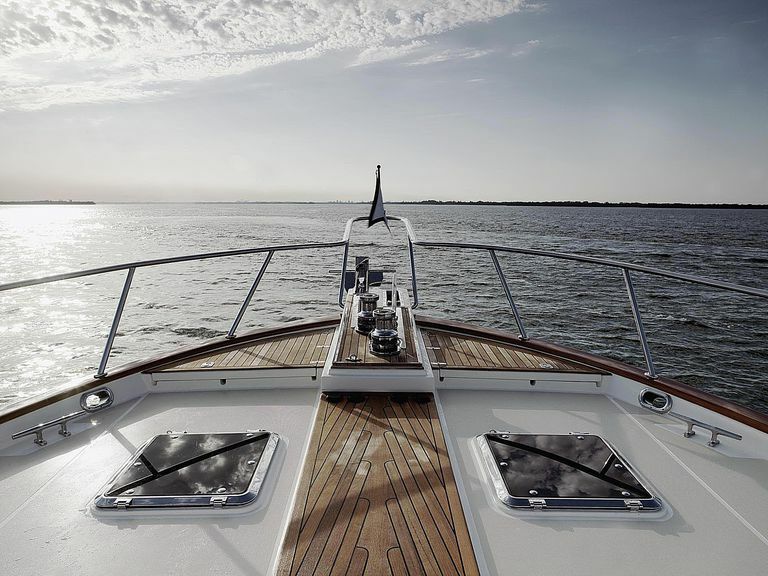 In addition to its use for navigational purposes, nautical miles are also still significant markers of speed as the term "knot" is today used to mean one nautical mile per hour. Therefore if a ship is moving at 10 knots, it is moving at 10 nautical miles per hour. The term knot as it is used today is derived from the previously mentioned practice of using a log (a knotted rope tied to a ship) to gauge the speed of a ship. To do this, the log would be thrown into the water and trailed behind the ship. The number of knots that passed off of the ship and into the water over a certain amount of time would be counted and the number counted determined speed in “knots.” Present-day knot measurements are determined with more technologically advanced methods, however, such as mechanical tow, Doppler radar, and/or GPS. Because nautical miles have constant measurement following lines of longitude, they are extremely useful in navigation. To make navigation easier, sailors and aviators have developed nautical charts which serve as a graphical representation of the Earth with a focus on its areas of water. Most nautical charts contain information on the open sea, coastlines, navigable inland waters and canal systems. Usually, nautical charts use one of three map projections: the gnomic, polyconic and Mercator. The Mercator projection is the most common of these three because on it, lines of latitude and longitude cross at right angles forming a rectangular grid. On this grid, the straight lines of latitude and longitude work as straight line courses and can easily be plotted through the water as navigable routes. The addition of the nautical mile and its representation of one minute of latitude make navigation relatively easy in open water, thus making it an extremely important component of exploration, shipping, and geography.